Scott Beuerlein is a Horticulturist at the Cincinnati Zoo & Botanical Garden. Scott is Chair of the Boone County Arboretum Collections Committee, past Chairman of Taking Root, past President of the Cincinnati Flower Growers Association, and Past Chairman of the Northern Kentucky Urban and Community Forestry Council. He has published over 50 articles for Ohio Gardener and American Nurseryman. He currently writes the Only in Ohio column for Ohio Gardener, and is a regular contributor to the Garden Rant blog. 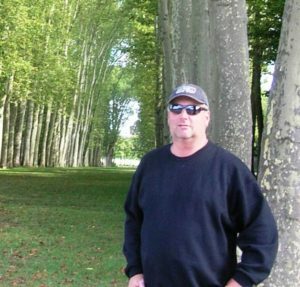 He is an ONLA Certified Landscape Technician and an ISA Certified Arborist. He and his wife Michele are empty nesters, trying desperately to maintain control of their collector’s garden. Jenny is an expert on our region’s forestry resources and has extensive experience as a business developer and senior consulting urban forester responsible for assisting governments, businesses, utilities, and non-profit organizations with various project development and implementation plans specializing in urban forestry, park management, and land development programs. Jenny has over 30 years of experience and joined Davey Resource Group in 1999 after a successful career in municipal government. 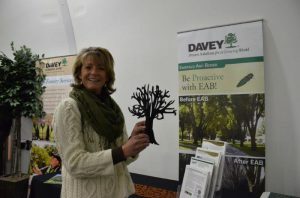 She is an International Society of Arboriculture (ISA) Certified Arborist and Municipal Specialist, is an ISA Certified Tree Risk Assessor, and is a Certified Forester as recognized by the Society of American Foresters. Tom Borgman is a Natural Resource Manager for the Great Parks of Hamilton County. He is responsible for controlling invasive species, wildlife management and habitat restoration in the park districts more than 16,000 acres. Some of the habitats restored include prairies, wetlands and forests. He has worked for the park district for 28 years. Tom has been part of the Ohio Invasive Plants Council since its inception and is active in Green Umbrella and Taking Root. Jason Brownknight was the former Director of Conservation and Stewardship for the Cincinnati Nature Center. He now Owner/Operator of Brownknight EcoResource LLC. Jason received his Master’s degree in Physical Geography from Ohio University with a specialization in landscape ecology. Jason’s has a Bachelor’s degree in History from Shawnee State University and is a graduate of the Ohio Watershed Academy. Prior to working for CNC, Jason worked with Clermont SWCD and ODNR as a Watershed Coordinator for the East Fork Little Miami River. Early in his career Jason worked for the Richard and Lucile Durrell Edge of Appalachia Preserve System in Adams County where he was born and raised. 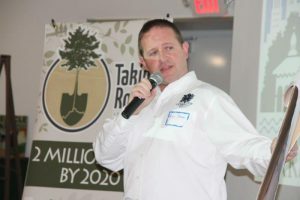 Jody has been involved as a leader in the Taking Root Campaign from its earliest conception and can speak about its purpose and mission to any group. Jody has extensive experience with many aspects of non-profit organizations and organizing campaigns. Jody’s civic leadership experience includes leadership of the Green Partnership for Greater Cincinnati, a convener of the Taking Root Campaign. Margo Lindahl holds a BA from Miami University. Margo has been a planner with the Ohio-Kentucky-Indiana Regional Council of Governments for her entire professional career. That includes more than ten years of working on water quality, groundwater, and other environmental issues, and more than ten years of working on the regional transportation plan and numerous project studies. For the past seven years she’s been the lead planner for OKI’s Greenspace Program. Margo leads the ongoing environmental consultations processes used to inform the OKI long range transportation plan and planning process. Travis is a regional planner with planning experience at the local community level and can speak to local governments or organizations interested in developing local policy related to tree canopy and forestry resources. One of Travis’ primary responsibilities with OKI is the maintenance and continuation of various implementation efforts related to the OKI Strategic Regional Policy Plan (SRPP). In addition to community planning, Travis has a degree in Landscape Architecture and over 10 years of land use, economic development and environmental planning experience. Dr. Jon Seymour has a graduate minor in zoology and a Ph.D. in biochemistry, with a 30 year career in human and environmental toxicology and clinical research. He has been bird watching as a hobby for over 40 years and has been an active participant in environmental planning projects in Hamilton County, OH and Dearborn County, IN. He was named to the Oxbow Inc. Board of Directors in 2000 and was elected President of Oxbow, Inc. in February of 2003. 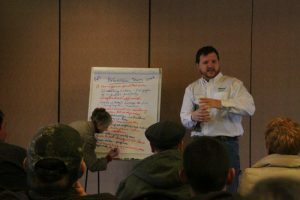 He is the Treasurer of the Indiana Land Protection Alliance (ILPA), and sits on the Boards of Green Umbrella (a Greater Cincinnati cooperative sustainability initiative) and Toxicology Excellence for Risk Analysis (TERA), a service organization conducting human chemical exposure risk analysis research for clients around the world). management, funding, planning, organizing of operations, and staffing for facility needs. Kris is a graduate of the University of Kentucky with a B.S. in Plant and Soil Science (Horticultural Science). Kris is highly active in various community organizations in the Greater Cincinnati area and region, building community awareness and networking for the Arboretum. 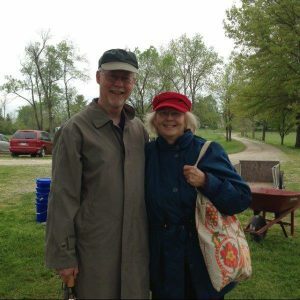 He serves as past President of the Northern Kentucky Urban and Community Forestry Council, Advisory member of Boone County Urban Forest Commission, and is an ex-officio board member of Friends of Boone County Arboretum. He also serves on various other AD hoc committees for community and state organizations when time allows.